Please Vote The Love Witch for The LAMB’s Horror Special | The Vern's Video Vortex. ← Let’s look at even more shorts with The Vern, yet again. I’m going to keep this post short, but I do hope you can help me out. 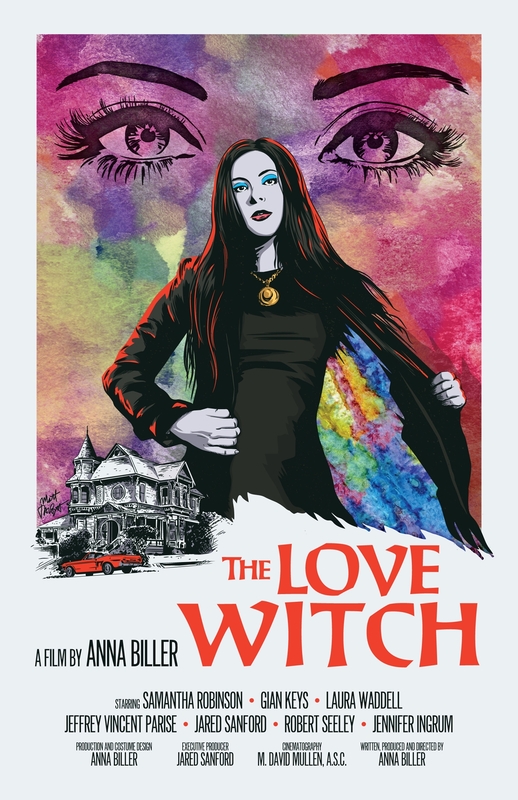 I’m submitting Director Anna Biller’s ode to classic cinema The Love Witch as Movie of the Month over at The LAMB aka The Large Association of Movie Blogs for October. I really wish that more people had the chance to see this, because this film is really astounding. The story focuses on a young witch who recently moves to California following the death of her husband. While there she tries out spells on men to make them fall in love with her, but each one comes at a ghastly cost to them. 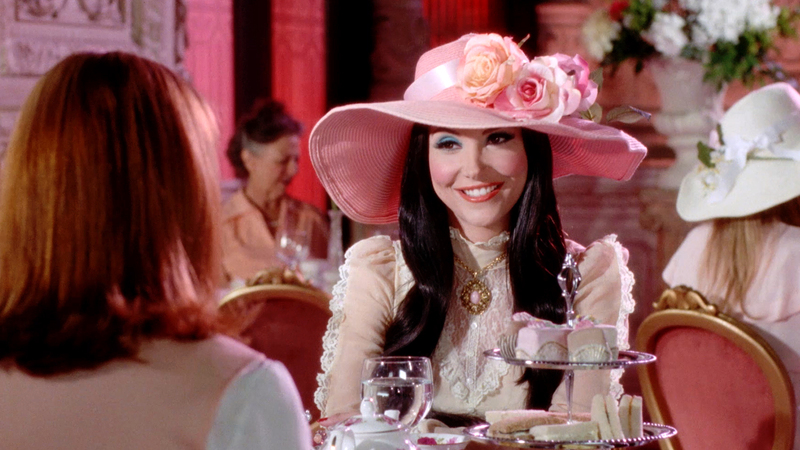 The Love Witch looks and feels like it could have come from the late 50’s and early 60’s cinema. The time when technicolor was a big thing for movies. Even though the movie does feature modern cars and yes, even cell phones. It still evokes more of a tribute to classic cinema than La La Land. The cast which includes Samantha Robinson. Laura Waddell, Gian Keys, Jared Sanford, and Stephen Wozniak are all perfect. They evoke the same tone and style of actors from those films of the past. I hope after this, they are cast in more projects. Anna Biller has spent a long time making this movie and her dedication shows. She made the costumes, helped design the sets and wrote many of the music that appears in this. I also love the themes it tackles about how society views what women should be and I think it would be a good conversation topic among many others for The LAMBcast. In the past few months, I have been trying to get Nicholas Winding Refn’s The Neon Demon to win Movie of The Month to no avail and I’m sure you are wondering why not this month Even though this was a highly divisive film, I still think it’s one worth discussing and I will be submitting it again so be on the watch for that. I also have new episodes of The Film Pasture and Cinema Recall which I will share when they are posted. This entry was posted in article, Information, Reviews, Uncategorized and tagged anna biller, cinema recall, gian keys, la la land, LAMBcast, laura waddell, movie of the month, samantha robinson, The Film Pasture, The Lamb, the love witch, the neon demon. Bookmark the permalink.